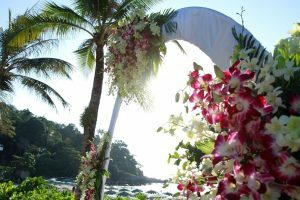 My first post on Our Wedding in Thailand Explained has proved to be hugely popular – one of the most popular posts on this blog in fact. Finally, the time has come to reveal the finances behind the destination wedding! Thank you to those of you who have emailed me asking to post this information – it is wonderful to know that people are engaged in my blog :D!! The dress was something we had to take care of in the UK. I suggested that we get it made out in Thailand (we had 2 weeks vacation there before the actual wedding) but Mrs Scot wouldn’t take the risk. I realise that the dress is very special and meant a lot to Mrs Scot, so agreed that she could pick any dress she wanted. Her dress cost £1095 [$1700] (alterations were free as her Mum did them) but was 100% worth this cost considering how stunning she looked on the day! She almost decided to buy the dress from where stores get dresses so we could save money, but she was already in love with the one she had chosen. We planned this one well. We had our rings made during our visit to Thailand in Summer 2011. This allowed us time to sort something else as a contingency plan if the result was a total disaster. We ended up getting 2 white gold rings (they can be seen here) made which were absolutely perfect. Neither of us are a fan of regular gold, so the choice was perfect. Total Cost – £354 [$550]. This is less than half the cost of what we were quoted in the UK. This was £16 per head [$25] and included an hours worth of canapes and unlimited drinks from the bar. Absolutely fantastic! We had a total of 14 guests so this worked out at £224 [$347]. This is the big one – or is usually the big one. We found in the UK that hotels would charge a minimum of £50 [$78] a head. We spoke with the Chef and customised the most amazing 5 course set menu of our favourite Thai food. This even included Lobster and Steak in some dishes and worked out at £25 [$39] a head. An absolute bargain. Total Cost – £350 [$543]. Mrs Scot and I decided quite early on that we would be paying for everything all night. Given that we were expecting our guests to travel thousands of miles around the world to Thailand, we felt it was the least that we could do. We paid for unlimited drinks for everybody, all night. There were various ‘packages’ available to choose from (premium spirits, local spirits, beers, softdrinks, wines etc.) and we chose something that covered everything. This worked out at £49 per head [$76] and a total cost of £686 [$1063]. Centerpieces for the tables were made from thee most beautiful Thai Orchids (we had chosen the colours and some had been died that morning). Total cost – £38 [$59]. The total cost of 4 corsage pieces was £31 [$48]. Again these were hand made with fresh flowers that morning. Absolutely stunning! Finally, we gave our guests a small glass elephant each to remind them of the day. Total cost £28 [$43]. This obviously doesn’t include our airfare (£1500 [$2325]) but gives you a good idea of the costs involved of the wedding itself. The cost of additional guests would be about £90 [$140] a head, which is quite affordable. The package prices for the wedding was truly all-inclusive – they provided us the most attentive servers, an amazing wedding planning team and the most beautiful flowers and decorations a girl (and guy) could wish for. While we only had 14 guests, they were people that were truly special and mattered to us. We have celebrated with other people in different ways who couldn’t make it and seem to have got the best of both worlds! If you have any other questions, please feel free to contact me or leave a comment below. Cool post! I love that you broke down the cost of everything. The baby elephant surprise part mad me smile. Who doesn’t want a baby elephant at their wedding?! 😀 ! The elephant (Nadia) was worth every single penny! She was absolutely gorgeous! One day maybe I will share more photographs.. Thanks for the detailed breakdown 🙂 It sounds like it was a fantastic deal for the final results. And the baby elephant… aww. You are welcome 🙂 Thanks for the email the other day. I agree that this was a bargain and at such a wonderful location! I like small weddings because then you know you have people there who really care about you and your happiness. Thanks for stopping by to comment! 🙂 Have been following your blog for a couple of months now and really enjoy it. You are absolutely correct – the people that flew all the way are the 100% genuine friends for life. The one downside is that older people can’t manage it and friends that have recently graduated. Given a second chance, we would still do it again in a heartbeat!! Congratulations on marrying your soul mate! I’m so glad you shared the finances that made your beach wedding possible, it proves you can have a beautiful, meaningful wedding (plus a baby elephant!) for a realistic price. It sounds like the event was everything you and Mrs. Scot wanted. What was your experience in booking everything abroad, including making the transaction in foreign currency? Hey thanks for stopping by to comment! I love the baby elephant idea. As wedding costs go nowadays it looks like yours was very reasonable considering what came with it. That sounds like the perfect wedding! Beautiful and stunning yet modest with only 14 guests. It sounds amazing and at that price, way worth it! Really loved reading this post. First stumbled across it when I started day-dreaming about getting married on a far flung beach and now I’ve had to seek it out again as I’m now, very definitely, GETTING MARRIED IN THAILAND! We’ve got a while before we do the deed – plan is February 2014 – but we’ve got heaps of saving and planning to do in the meantime as not only are we taking the wedding plunge, we’re (well me, as the other half is a native) emigrating to Australia! So you’ll see why I’m on a mission to gather as many money saving tips as possible. Thanks for stopping by! Sounds like you guys have a great plan there! I am so happy for you. The venue we used was the Katathani. As I mentioned in my post, it was absolutely amazing. 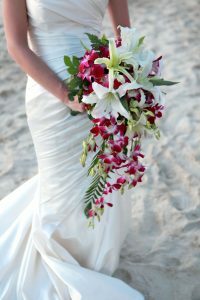 Did you manage to read part 1 – https://savvyscot.com/our-wedding-in-thailand-explained/ ? Happy to help with any questions. Thanks for that. I think we’re going to plump for a venue on Koh Samui, just waiting for all the email replies to trickle through so we can do a thorough comparison. I promise I won’t be popping on here every other day with a new question, but am interested to know if you had a legal ceremony and, if so, did you go to Bangkok to sort it out yourself and was this a straightforward process? I might of missed the detail but which hotel and what was the name of the band? Okay this is great news!!! Im in the United States. I’ve been completely putting our wedding on the back-burner because we decided to buy a house first, and the cost of a wedding (now being a home owner) was just rediculous! This is WAY more manageable and I can see the light at the end of the tunnel. So couple of questions and/or thoughts. Can we semi-copycat your wedding? Haha. We’d probably ex-nay the elephant, although good idea. 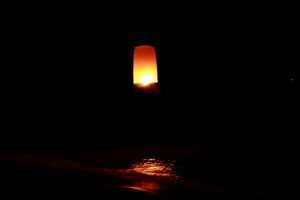 Keep the lanterns (LOVE THIS), but provide our own music, as I’ve been building my ipod list since I got engaged last September. 🙂 We were only hoping to have about 12-16 people which includes the wedding party. 1.) Would it be faux pas to cut out the reception dinner and simply have it at a restaurant where guests could choose from a menu? And would it be asking too much to have guests pay for their own food and/or drink? 2.) Did this $8000 price include the making of the cake, decorating, cutting, etc? 3.) I think you may have mentioned this, but this overall price included your stay at the 5-star resort too right? 4.) And finally, would it be too much to ask who you made contact with to make this happen? You can copy our wedding as much as you like 😀 – did you read the previous post too? I would be interested to hear how you get on! Good call on the lump sum on the bar. We may do that instead and still pay for food. 1.) Did you just send invites to your personal 14 people, or everyone and only 14 showed up? And how did you let the rest know about your wedding? 2.) Did you end up having a small reception when you get back for those who couldn’t make it? We’re considering this as well. This sounds amazing!! Thailand is #1 on my bucket list of places to visit (we did Europe already) but will be very expensive trip from Canada especially…sigh…I can dream. Catherine recently posted..How 2 PF Bloggers Saved Me $420 And Got Me A New Bed! 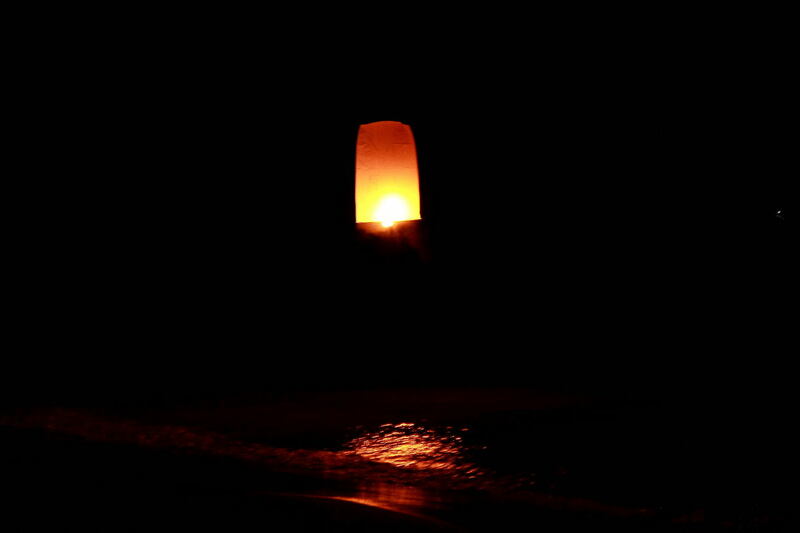 We are getting married at the Santhiya Resort and Spa in Koh Phangan in July 2014. We both stayed on this beach teo years ago and it is stunning We are from Edinburgh and live there currently, but we lived in Thailand a few years ago. Totally fell in love with the place. Our wedding plans are pretty much finalised and we have gone through creativeeventsasia.com. They’ve been amazing. Could I ask you the name of the band? The hotel provides everything else but if the band comes highly recomended then I would opt for them. Hey thanks for commenting! It was actually just a 2-piece band we had who are based in Phuket. I can search out the email address if you are interested? Loved reading about your wedding in Thailand! I would love to experience the same as what you did. What resort did you get married? I am planning my wedding now for early December. ANy help would be appreciated. Hey – the Katathani – mail me directly with any qS! 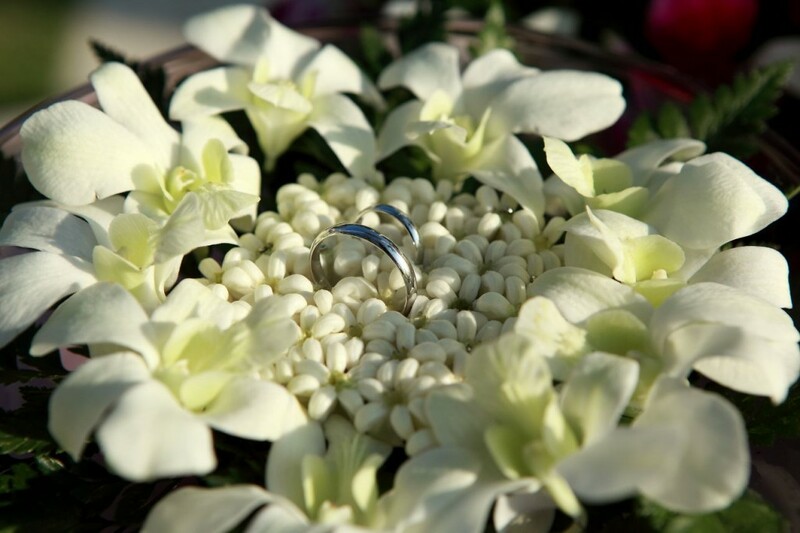 Hi, I am not sure if you still check this as it was posted a while ago but Thank you so much for this post it is such a help… I know it was along time ago but I am in phuket trying to arrange our wedding for next year.Thinking Katathani but looking also at music. Is their any chance you can give me the name and details of the band so i can look them up while I am here. did they play for the meal as well as the evening…or just the evening? Your wedding sounds exactly like the one my husband to be and I want. Can you tell me the name of the hotel and band you had? Looking online it is hard to find a conclusive list of 5 star inclusive venues. We’ll have about 25 people and we need to make sure everyone has nice accommodation at the venue or near by so we can all enjoy our time together. Hello! I have just read your blog. My boyfriend and I are travelling to bangkok and koh samui in April to a friend’s wedding. We’re getting married in June ourselves (in Spain) and we were thinking of buying things like suits and rings in bangkok. Would you mind recommending where you got your rings? And how long did they take to make? Hi Karen! The Savvy Scot has changed owner and I am afraid I can’t help you with that. You may want to buy your rings before you go to make sure they fit on the day, or find a local jewelry store and risk the adjustments take more time, although you can bring them after the wedding to resize. The idea of the Baby elephant is amazing! What about the stay? How much did you spend for the Resort? Did you had also extra package like SPA? Great read! Thank you for this. I may have missed this somewhere so excuse me if I have but your prices look so reasonable! Did you haggle for any of these? Hey Anna, the site has changed ownership since, sorry I can’t help you!